It is very nice to see Martin back in his element. I just watched the show with Xian Lim as guest and that was so fun!!!! bagay idagdag si Angeline Quinto dito napanuod ko ang okrayan nila kagabi nakaka ALIW ! Jericho Rosales will finally fulfill his childhood dream to become a guest of Philippine TV’s ‘Big Mouth’ Martin Nievera in “Martin Late @ Night” this Friday (April 26). Experience a fun and exciting Friday night with Echo as he shares his other goals in life that he wants to reach. Aside from being one of the most talented actors in his generation, what other accomplishments does Echo want to achieve as a singer and as a film producer? When does he plan to settle down? How does Echo see his life a few years from now? Don’t miss “Martin Late @ Night,” every Friday night, after “Bandila” on ABS-CBN. For more updates, log on to www.abs-cbn.com or follow @abscbndotcom on Twitter. 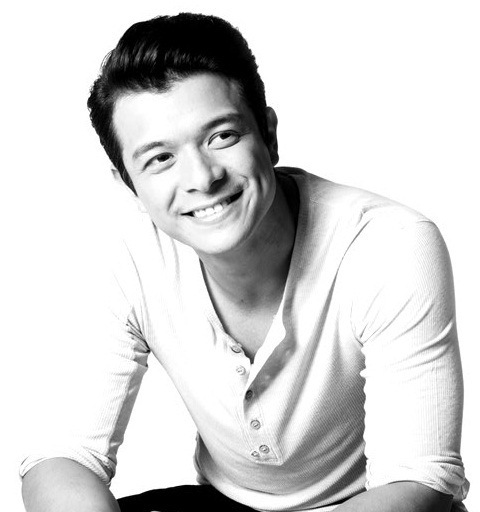 Jericho Rosales will finally fulfill his childhood dream to become a guest of Philippine TV’s ‘Big Mouth’ Martin Nievera in “Martin Late @ Night” this Friday (April 26). Experience a fun and exciting Friday night with Echo as he shares his other goals in life that he wants to reach. Aside from being one of the most talented actors in his generation, what other accomplishments does Echo want to achieve as a singer and as a film producer? When does he plan to settle down? How does Echo see his life a few years from now? Meanwhile, talks said that Jericho Rosales will be the leading man of returning Kapamilya Alex Gonzaga in an upcoming teleserye. The actor sort of confirmed the rumor when he gave his welcome message to Alex on the latter's The Buzz guesting on Sunday. Are you excited for this upcoming project? For now, Don’t miss Echo in “Martin Late @ Night” this April 26. The show airs every Friday night, after “Bandila” on ABS-CBN. 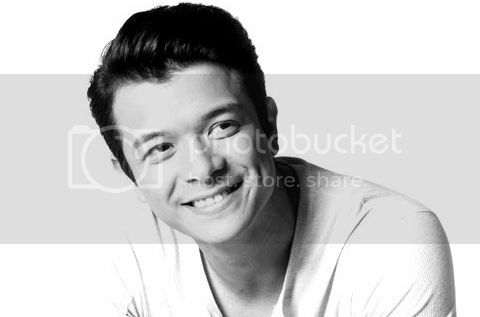 MANILA, Philippines -- Jericho Rosales was ready to quit showbiz and leave for New York when he met Kim Jones, who is now his girlfriend for more than a year. In an interview on the late-night talk show "Martin Late @ Night" aired Friday, the 33-year-old actor said he was introduced to Jones, an Australian national, by a common friend. At the time, Rosales said he had already set his mind to leave the Philippines, citing struggles in his personal life and career. "That was the time when I wanted to give up already, when I wanted to move to New York, that was before signing up with ABS-CBN ... and then I met Kim," he said. Jones, a commercial model and TV host, in an earlier interview said her first meeting with Rosales was in March 2011. She said she didn't know that she was being set up with a popular actor. It wasn't until two months later when they met again, according to Jones. The lifestyle show host shared that Rosales eventually won her over through their shared passion for sports and his sense of humor. They became a couple in October 2011. "It's very seldom that you meet a person in this business na talagang parang normal person," Rosales said of his girlfriend during his interview on "Martin Late @ Night." "Parang, like, whatever happens, parang walang arte sa katawan, talagang chill lang talaga, parang normal person," he said. During the talk show's episode, host Martin Nievera showed a white rectangular clock with markings on its surface. Referring to the writings, Rosales said they are "great and awesome memories [of my relationship with Kim], funny things we want to remember. We just want to remember special moments." In February, the Kapamilya actor said he has discussed "settling down" with Jones. "Pinag-usapan namin, pinagbibiruan namin. I think I found the one for me and that's her," he said. MANILA, Philippines - Singer Martin Nievera confirmed that his late-night show, which just premiered last March, is nearing its end. 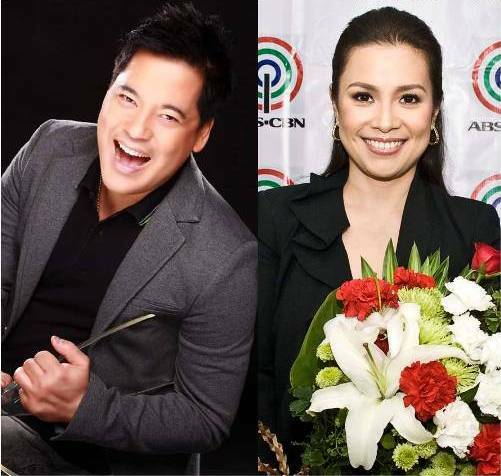 In a series of posts on Twitter late last month, Nievera expressed his disappointment over ABS-CBN's supposed lack of support for his show, "Martin Late @ Night." Late na nga kasi ang timeslot eh. Tapos no offense pero not really great choices ang guests. Except for Angeline Quinto. Dahil hinanap pa ng pamily sa internet yung guesting niya dun. XD. I hope he gets another chance and in a better timeslot with better guests. Like talk show experiment for KG? But I doubt anything on that block could get good ratings unless something first saves it. I mean BCWMH came first before all the other good shows in late morning. Maybe after it's not moderate anymore at naisalba na, pwede itry. Pero hindi na Late @ Night XD. 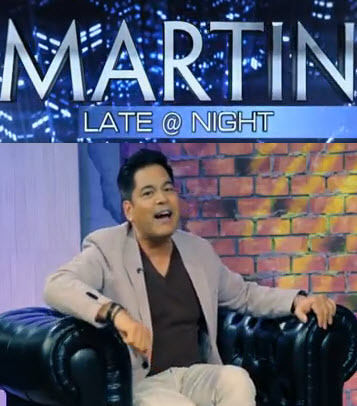 Programa ni Martin Nievera na Martin Late @ Night nakatakdang titigbakin sa ere.! Nagsimula ang bagong programa nang abs-cbn tuwing madaling araw na Martin Late @ Night nuong march 1 at every friday ito napapanuod tsikahan sa madaling araw ang nagaganap dito. Pero dahil nga ba sa mababang ratings na nakukuha nito kumpara sa Tim Yap Show ng GMA7 ay balitang titigbakin na ito sa ere ayon sa report malapit na matapos ang 1 season nito kaya naman balitang hindi na i-extend ang naturang show. Nagpasaring naman si Martin sa ABS-CBN dahil hindi diumano ito pinapansin ang kanyang mga text messages. Dagdag pa ni Martin wala syang kasalanan kung mababa ang nakukuhang ratings ng kanyang programa. “U cannot blame me if I am not rating like the prime time shows if u don’t support me like u support them. No band no live audience? How? “I know I am no teleserye or noon time show but if I had their support I would last longer. Can’t stay in the fight alone. So sad. Hanggang katapusan nang MAY na lang daw diumano ang programa na Martin Late @ Night pero kung magagawan ng solusyon baka magkaroon ng season 2 ito. Oh! wag naman sana tibagkin ito kaya nga Late @ Night I rather put it before bandila. then make Banana Nite as a Daily Midnight. Then it might get Bandila-like ratings and the difference won't matter much. But if the Koreanovela in PT ran only for 30 minutes then with this after, it could be okay XD. WE feel sad that Martin Late at Night is making an exit soon. We are not surprised though. A not so interesting guest cannot hold an hour show no matter how good Martin is as host. And the fact that most of them are Kapamilya stars sets a limit on how far the host can "grill" on them. A Friday late time slot proves to be a disadvantage, too. What are the things about Lea’s personality that most people don’t know about her? Behind her beautiful and soothing voice, is it true that she likes things associated with violence? Meanwhile, Martin will make the night even more thrilling as he and Lea hold a ‘blind auditions’ in “Martin Late @ Night” featuring world singing champion Jed Madela and the ‘Kalokalikes’ of her “The Voice” co-coaches Apl de Ap and Sarah Geronimo.